The First World War left its mark on Vimy Ridge. Although time has covered the once-battlefield with new grass and forests, its scars are still plain to see. Artillery fire and bombs carved craters into the landscape, creating unnatural hills that flank the road all the way to the historical site. Barbed wire and knee-high electric fences cordon off the crooked and thin trees. Danger signs are sprinkled across the fields along with, to the surprise of most, herds of peacefully grazing sheep. 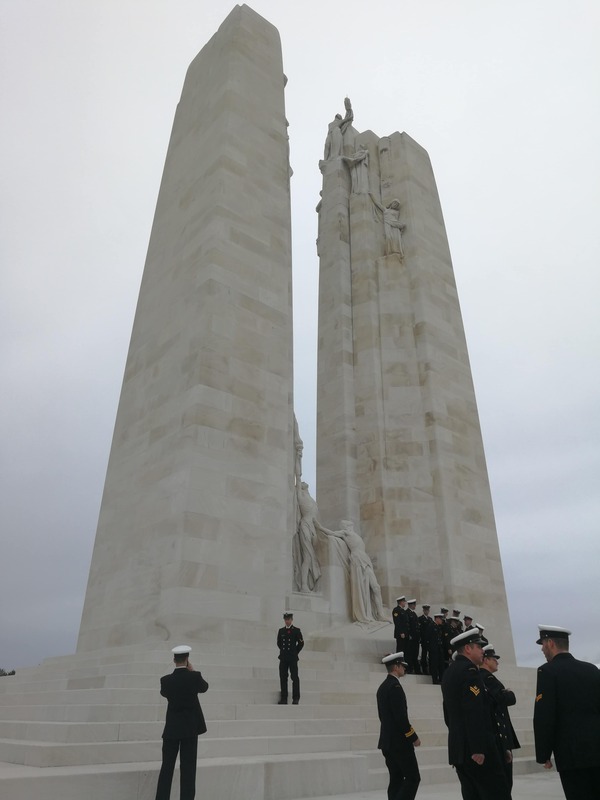 On November 11, 2018, Transatlantique and Canada on Campus organized a special expedition to the Canadian National Vimy Ridge Memorial. Known as Remembrance Day in Canada, Veterans Day in the United States, or Armistice Day in France, November 11 is an annual commemoration of the armistice signed between the Allied forces and Germany that stopped the fighting on the Western Front of the First World War. The national holiday is often used to reflect on the consequences of war, to discuss past and current conflicts, to encourage peace, and to honor military troops. Vimy Ridge in particular has a special place in the hearts of Canadians. 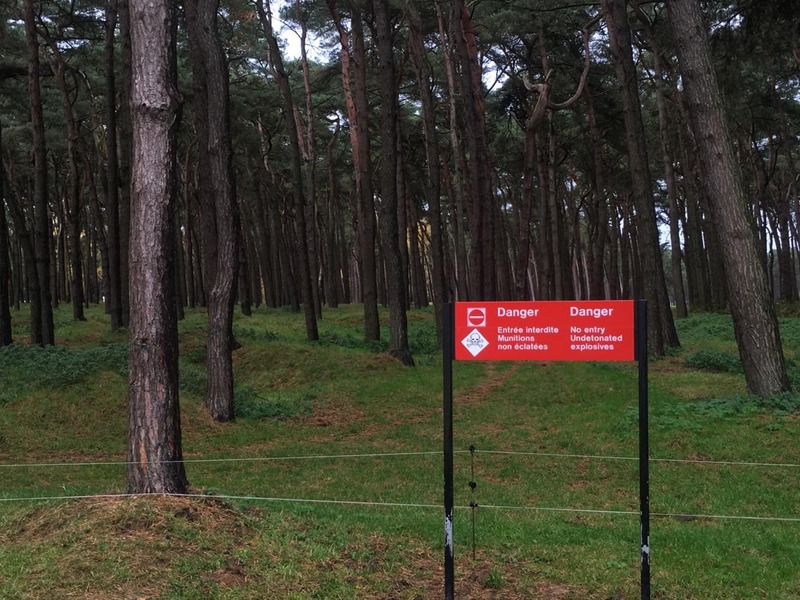 Located in Pas-de-Calais in the north of France, it was the site of the Battle of Vimy Ridge that occurred from April 9 to 12, 1917 – a battle in which Canadian soldiers used new tactics to seize the German-held escarpment. The victory was an important advancement for the Allied initiative and it established Canada as a player on the international field as a nation in its own right. 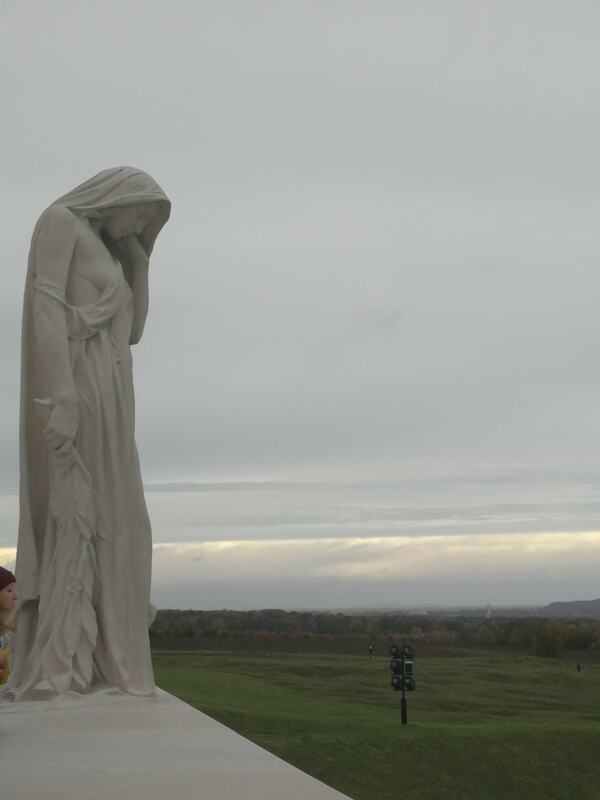 As such, Vimy is portrayed as the birthplace of Canadian nationhood and identity. 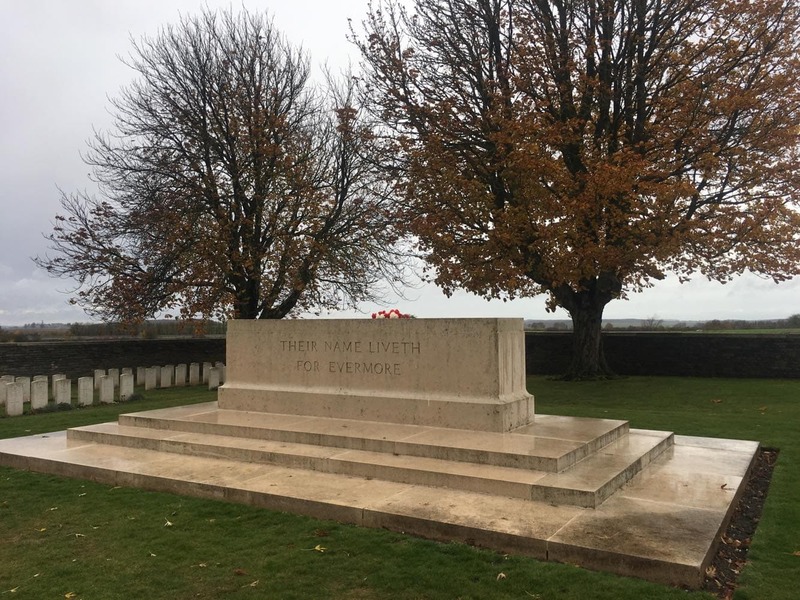 This November 11th was particularly important; despite the rain, approximately 20 students made the trip to Vimy to celebrate the 100th anniversary of the armistice and 100 years since the end of World War I. 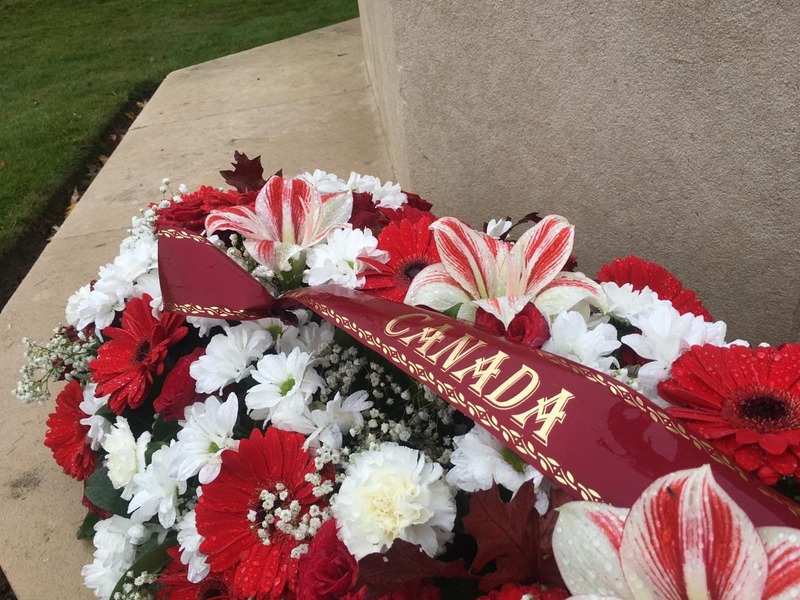 A coach bus filled with students departed from Sciences Po at 7:00 AM and arrived around 10:00 AM with plenty of time to spare for the official Remembrance Day Ceremony held by the Government of Canada at the Canadian National Vimy Ridge Memorial. 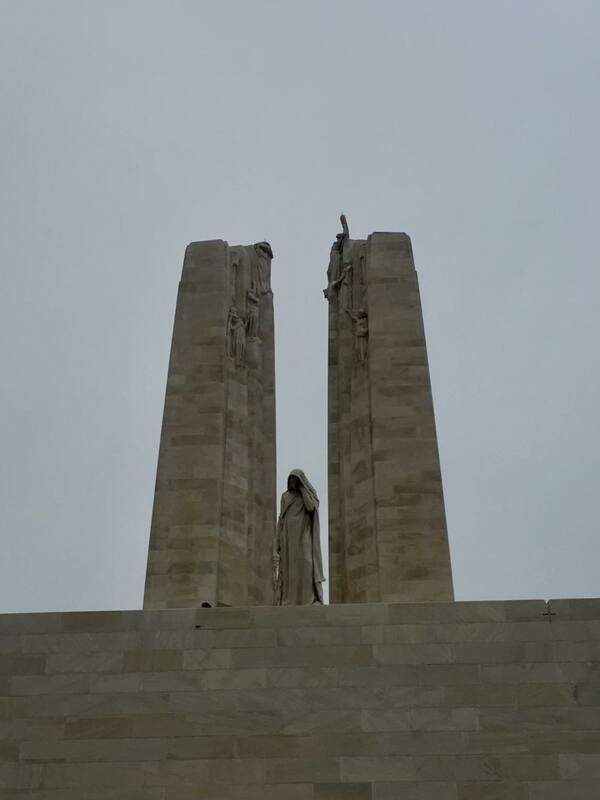 The memorial was erected at the site in 1936 to commemorate the soldiers who died in the battle; the land around Vimy was also granted to Canada by the French government. 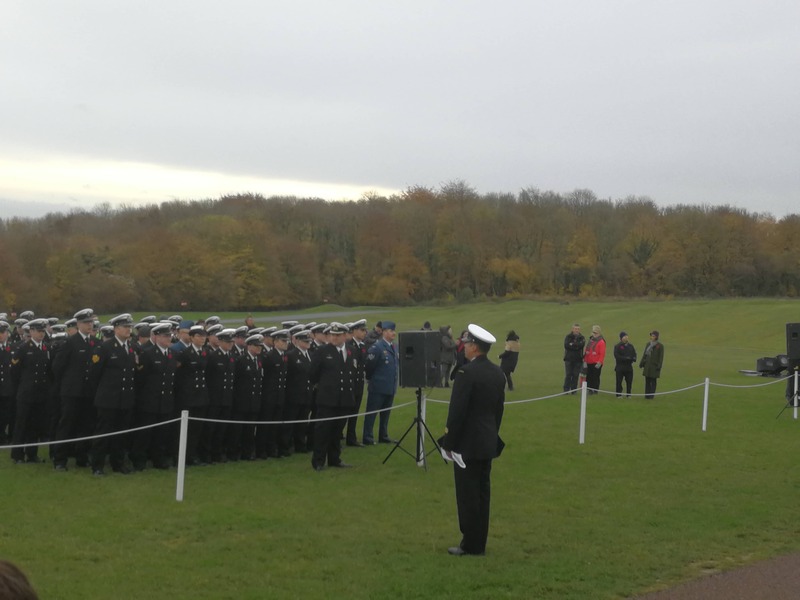 Although hampered by the (historically accurate) rain and fierce wind, spectators gathered at the base of the monument with divisions of the Canadian army for the laying of the wreaths, the Last Post trumpet call was followed by a moment of silence, and then the performance of the French, British, and Canadian national anthems. Some visitors had even flown across the Atlantic to attend. They then had the opportunity to warm up over free cups of mulled wine or hot chocolate, handed out by volunteers, before spending the rest of the day exploring Vimy Ridge. Guides offered tours of the reconstructed trenches and the communication tunnels that ran underneath. 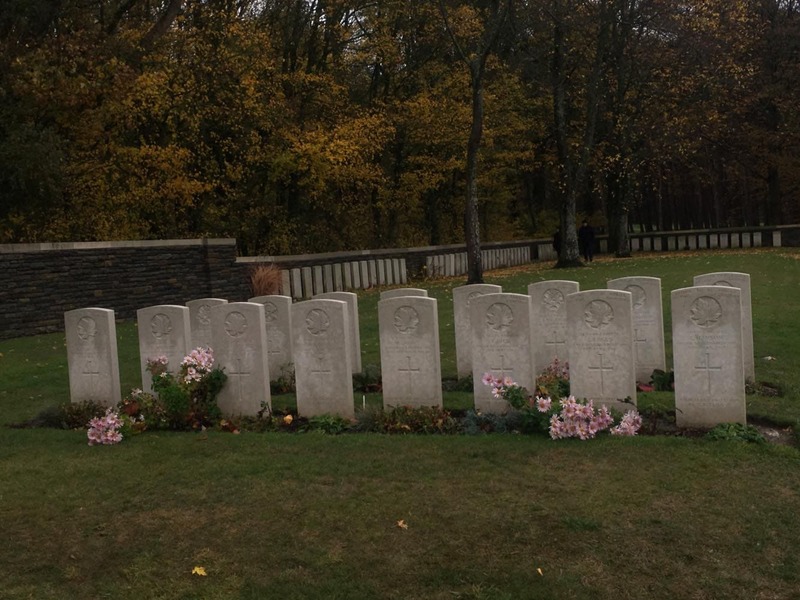 The two war cemeteries were also open for visitors to pay their respects. The visitor center displayed artefacts recovered from the site and sold Vimy Ridge memorabilia, from postcards to Vimy messenger bags. At the front desk, poppy pins were distributed all day, to be worn over one’s heart. In Canada, the poppy is the official symbol of remembrance as a homage to the Canadian poet’s work, “In Flanders Fields”. 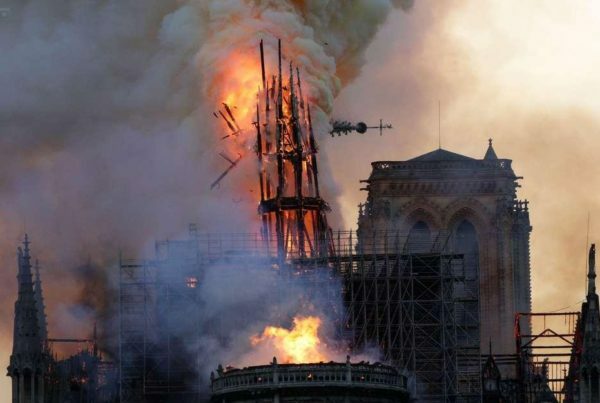 All in all, the trip was a celebration of peace and history. Lest we forget. Je me souviens. Michelle Wei is an Opinion writer for The Sundial Press. Born and raised in Toronto, Canada, she is now a first year student at Sciences Po in the Dual BA with the University of British Columbia. 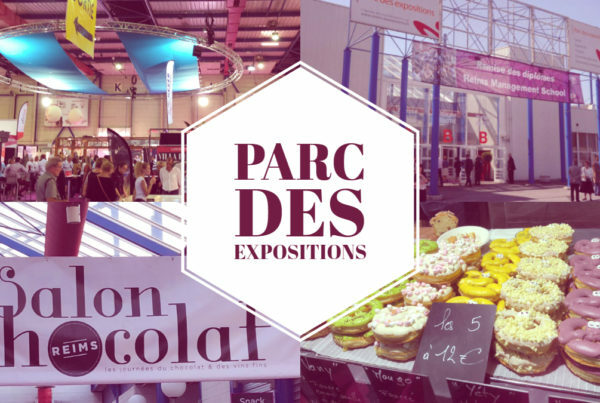 Cover photo to the courtesy of Marie-Anne Paul. 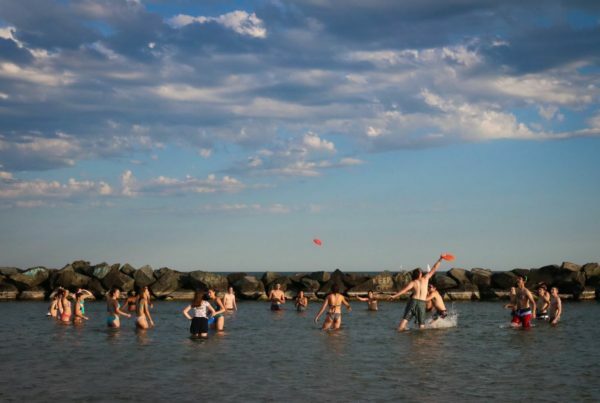 Gallery photos to the courtesy of Michelle Wei and Catie Musgrave.